Money is a critical element of our modern societies: a slight change in its mechanisms can have a much broader impact than simply affecting the economy. Therefore, a better comprehension of these mechanisms will give you a better grasp on various topics ranging from Political Economy to cryptocurrencies. Money is a complex subject, even more lately if we consider all the convoluted systems and protocols that were progressively built on top of it: monetary creation, central banks, inflation… With this piece, we’ll go back to the basics and eventually down to cryptocurrencies: What defines a currency? Why do we need them? What types of currencies do exist? Buckle up for a quite an adventure in which we discard old but still prevalent tales and propose necessary new ones to make complex mechanisms crystal clear. At the beginning, we were barterers, the my chicken for your corn kind of deal. Then, since bartering wasn’t efficient, we needed a more standardised mean of exchange: a good that could pass as a store of value. Precious metals were the perfect candidates — they became coins, a form of money. 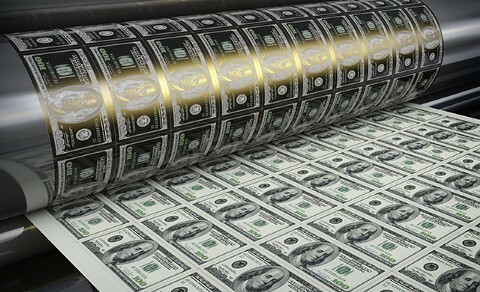 Yet, later on, those coins evolved once again and became paper money — still a currency, but the origin of their value shifted: while a coin gets its value from its very material (the precious metal it’s made of), the paper money needs an institution to emit it and guarantee its value one way or another. Finally, in the digital era, money evolved one more time. It’s now all “digital” — just bits, 0 and 1 located somewhere in a server and transiting almost instantly in the fiber network. Let’s study together the example that made the distinction between the two very clear to me: let’s say I burn a $20 bill — will any value be destroyed? Well… Simply no! What has been destroyed is my ability to claim the aforementioned value: I can’t exchange the ashes of my bill for a beer. Understanding the difference between a store of value and a claim upon value allows us to also understand the obsession with circulating currency. Indeed, money is not wealth by itself: as long as the money is not claimed (spent for goods or services), it has no contribution whatsoever to the wealth of the given country. Let’s go back to our previous cash burning experiment to dig deeper: when I burnt my $20 bill, it had no impact on the GDP (Gross Domestic Product) of the USA. Yet, if I start to burn millions of dollars, we might start to see secondary consequences affecting the GDP: since there will be less money circulating, there might be fewer people using it to claim value (a beer, clothes…) and therefore an impact on the real economy of the country. Those secondary consequences will only happen if the cash I burnt was meant to be spent — if burning the bills prevented me from claiming the value they carried. Hence, if I’m a multi-billionaire (so let’s assume: incapable of spending all of my money), I can burn millions of dollar without having any impact on the economy: those millions would have never flowed back into the economy anyway. Putting a stop to the flow of money which would have changed hands without that stop is like preventing others to work to provide value; this value would have been exchanged for currency if the money was circulating freely. To get over with the myth of money as a store of value, let’s consider a third and last scenario. Let’s say I print a very well done stash of counterfeit money — everybody takes it for the real one. Now I give out those bills to normal American citizens, and for the sake of the simplicity of this example, the Fed doesn’t notice. In that scenario, the happy citizens who got free real-like yet counterfeit bills will start spending them for goods and services — they will claim what is rightfully theirs because of their ownership of the bills, hence increasing the GDP of the country. Yet, all of this is a scam, no value was actually created: I only printed and handed out fake bills that people think legit. Money barely is the key to the gold chest. When money itself, its physical medium, still had value (such as gold or silver coins), the content of the chest was still tied to the amount written on the key. Now, we are in a system where keys are changing endlessly changing hands without ever returning to open the chest. Our trust in our currencies is so high that the amount written on the key is sufficient and even authoritative. We need to place some context to answer this question. We’re talking about a world where money doesn’t exist yet; hell, the very notion of “property” is even clear yet. Of course, there were exchanges, but the “exchange protocol” was very different than what we picture behind the idea of bartering. Note: Considering the system depicted above was informal, the “if you don’t…” part didn’t need to be stated, it was understood. In the premodern agricultural societies depicted above, barter also existed but wasn’t the main mean of exchange: it was useful to be able to exchange with people who didn’t share the kind of relationship we depicted — for exchanges between communities for instance. 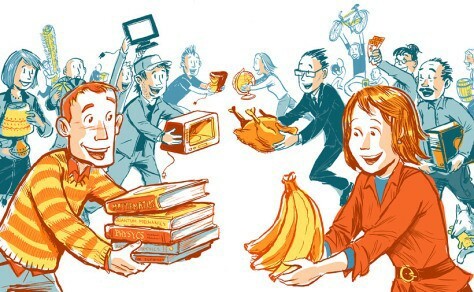 Moreover, the examples frequently chosen to illustrate the bartering system are doubtful. We’re talking about goat vs corn deals, but is it realistic in the context of a premodern agricultural society? Since they were mostly auto-sufficient, bartering was for goods that weren’t required for the community’s survival, since these were already produced within the community. With the tale of the origins of money, banks look like a mere intermediary. They provide more or less practical systems allowing the money to flow: it used to be ledgers, and it’s still is but now we have a clunky web interface to write/edit stuff in them. Here is a short and (too) quick explanation — a central bank emit a monetary base allowing commercial banks to issue currency by themselves through loans. When Bob comes to Bank of America for a $10,000 loan, BA is not pulling money from its reserve to credit Bob’s account. No, what happens instead is this: the amount written in Bank of America’s ledger next to Bob’s name is increased by 10,000, and that’s pretty much it. 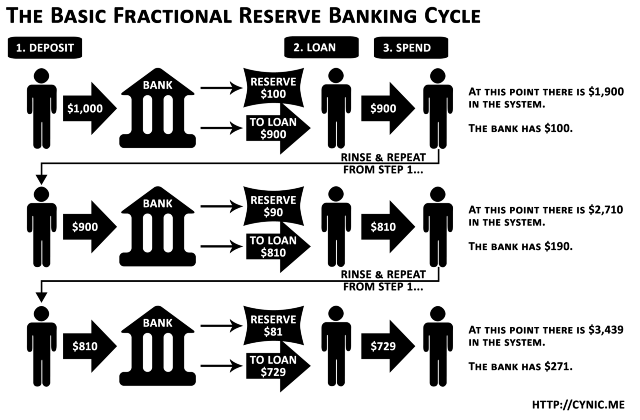 The confidence in the banking system is preserved through the mandatory reserve, corresponding to a fraction (~10%) of the loaned amount.6 Which leads us to our next point. Now that we are clear on monetary creation — made by banks and nothing more than an input on a ledger — let’s tackle the last myth surrounding money, the one that states that money became 0 and 1, bits stored somewhere on a server. In real life, the nature of money hasn’t changed: the good old bank ledger is still authoritative. Its authority comes from the fact that it doesn’t exist in a vacuum: it draws its authority from the whole political, societal and judiciary system that surrounds it. The way we interact with the ledger (analog or digital) doesn’t reshuffle the decks. With credit cards, ATMs, online banking and all the others “innovations”, it might seem like our monetary system evolved. In reality, we’re still very close to our first monetary systems and our modern currencies follow pretty much the same rules as the old ones. Innovations and changes happened mostly at the interface level: how we interact with the ledger. Most of the changes happened at the monetary creation level, it used to be much simpler and a state matter but the rest didn’t budge much. Our modern currencies share more with the Gold Franc7(pardon my Frenchness) that we imagine. 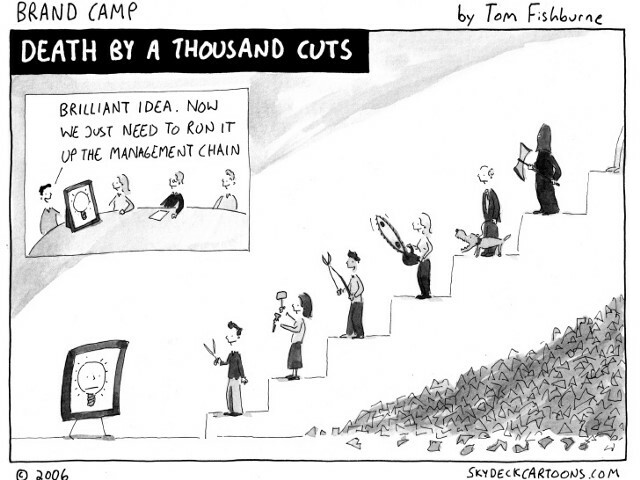 Disruption has yet to happen on currencies, what we had so far is barely a parade of facelifts. The reputation of the institutions who handle the monetary systems, be it central banks, private banks or other institutions. The political, legal and societal framework built around banks. The general public ignorance of the mechanisms governing currencies. Fiat currencies are intrinsically useless objects that serve as a medium of exchanges. They only have value because a government maintains and guarantees it. Cypherpunk experimented with digital currencies and eventually lead us to the Bitcoin introduced by Satoshi. With Bitcoin, the trust in the monetary institutions is no longer required (“trustless”). Indeed, in short, the idea is as follows: instead of trusting the banks and other institutions to maintain the ledger, why not make that ledger public (=blockchain) and rely on our peers instead? This system also requires the use of cryptography and mechanisms to reach a consensus on the public ledger (so there is only one), but that will be covered in another article. The idea of a currency depreciating over time might seem scary at first as it contradicts our intuitive comprehension of money (“how can it be a store of value if its value shrinks over time?”). We already have already established that this intuitive comprehension of money was far from the truth of the practical world. This kind of money has an evident interest for recessionary phases, as it promotes spending the money quickly and “punishes” hoarding. I hope this article will provide you with a better understanding of money but most importantly that it sparked an interest and it makes you want to learn more about it! The actual monetary innovation has yet to happen. The good news is now that we have cryptocurrencies, it’s much easier to create new ones — pretty much anybody can do it and it’s an excellent news! It means that all the mechanisms we talked about and many more will be implemented and tested at scale. They already are: there are more than 1500 traded cryptocurrencies and easily another 10 thousand local, confidential or developed for learning purposes. Would you like to mint your own coins too? Here’s a guide to get started. Beyond what blockchain can offer, maybe here lies the most valuable contribution of Satoshi. By creating Bitcoin, he paved the way and reminded the whole world that minting money isn’t reserved to states — it’s the business of regular people too: you, me, us, and even your computer illiterate grandma should have a say. Like all changes, it sounds scary but if you think twice about it, it makes so much sense: who better than the future users themselves could design the currency the most fitted to their needs? I would like to give a special acknowledgment to Brett Scott who tremendously helped me to understand what money is and the different mechanisms tied to it. Go check his blog, it’s worth the read!